I made a sewing machine cover for my friend, Cat. She bribed me with flattery and said I could do whatever I wanted. I was a bit nervous since her style is more traditional than mine, but, fingers crossed, she'll like it. I tried for clean and modern with a bit of visual interest in the pebble quilting and hand quilting. The light tan fabric is Essex linen cotton blend in Sand. I feel like I should be getting more done since I have a long to-do list, but I've had a persistent cough for 2 weeks that has made sleeping hard work. I try, but usually I toss and turn and cough. Boo! My oldest had it for 2.5 weeks so I'm hoping there is a light at the end of this sick tunnel! No, I have no been sewing when I should be sleeping. For those of you who don't know, I love my sleep and am rarely in bed after 1030. I get all my sewing done during the day (I'm a morning person). However, being so tired is not very motivating! they are beautiful Kelly! 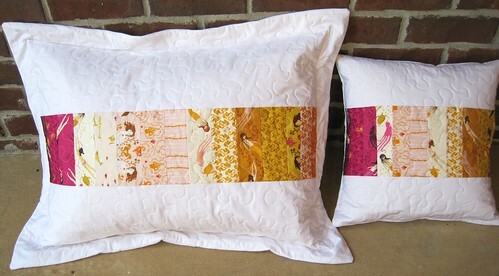 So fun that your customer requested some matching pillows! Yay you! This looks like a very productive weekend, Kelly! Everything you make is so pretty. 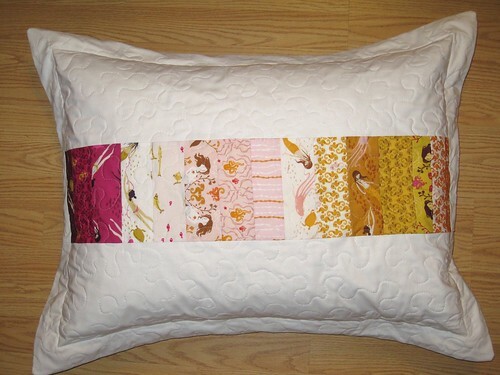 Love the pebble quilting. Love the cover and the pillows...especially that flange. I know how you feel. I haven't been feeling too well either. Not a cold, thankfully, but it doesn't make me want to quilt. Love what you did. Even sick you get more done than I do. P.S. 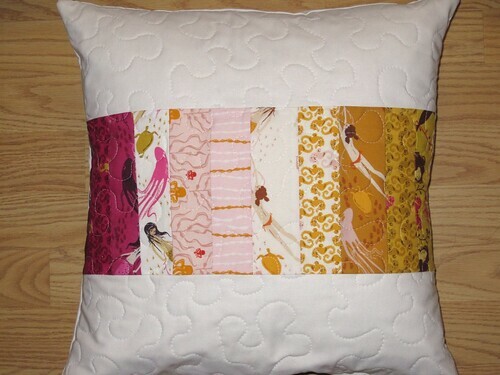 Love those pillow shams!